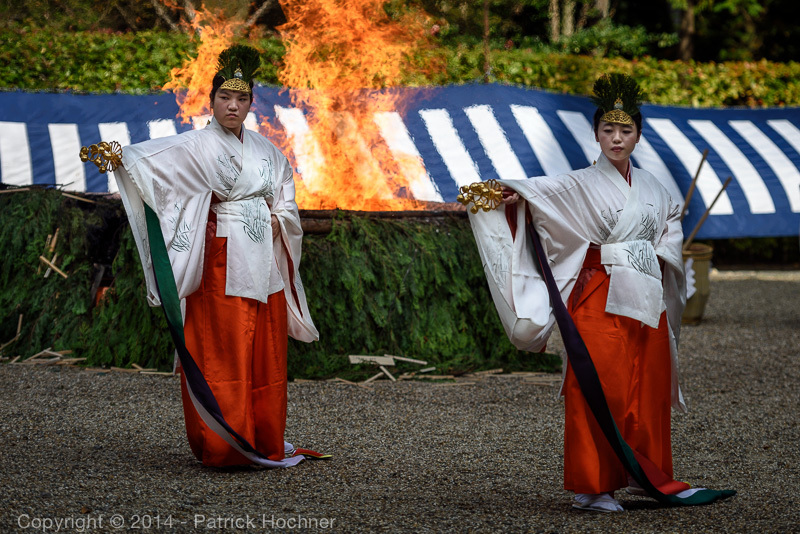 Several ceremonies were taking place at the Fushimi Inari Taisha shrine on Saturday November 8th. 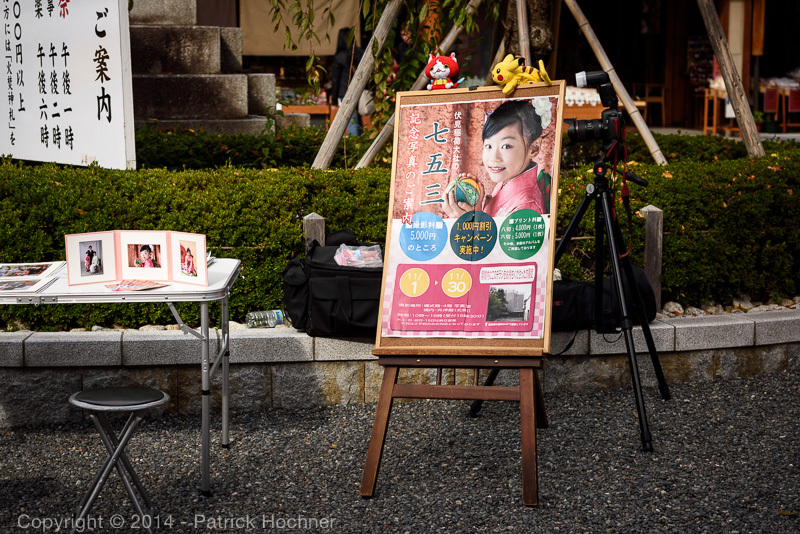 There were a lot of people at the Shrine. 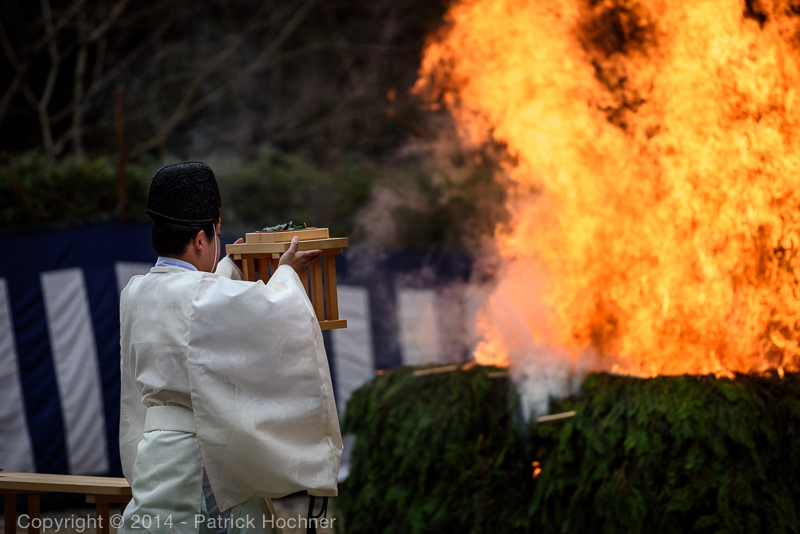 We wanted to see the Hitakisai (火焚き祭）ceremony (fire ritual) and started to wait on line about one and a half hour before the beginning. About 20 people were already waiting ahead of us. 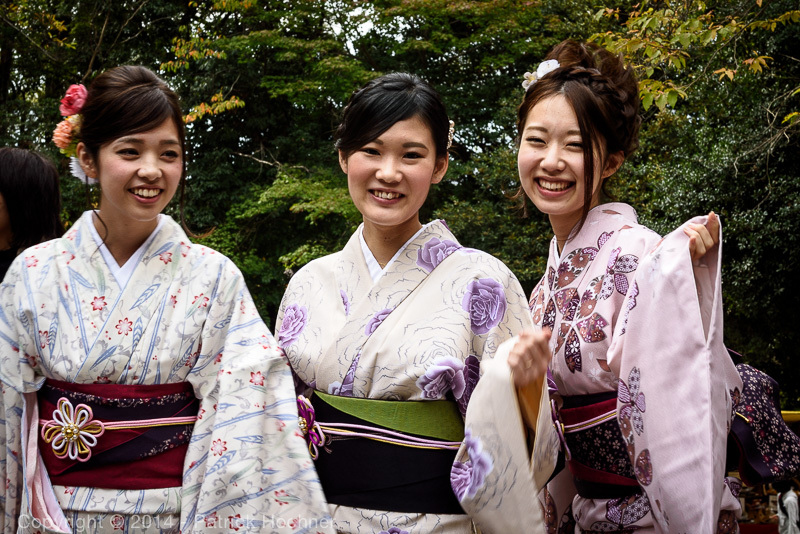 We’re in the Shichi-Go-San (7-5-3) season and quite a few little girls (3 and 7 year old) as well as little boys (5 year old) were wearing gorgeous kimono. 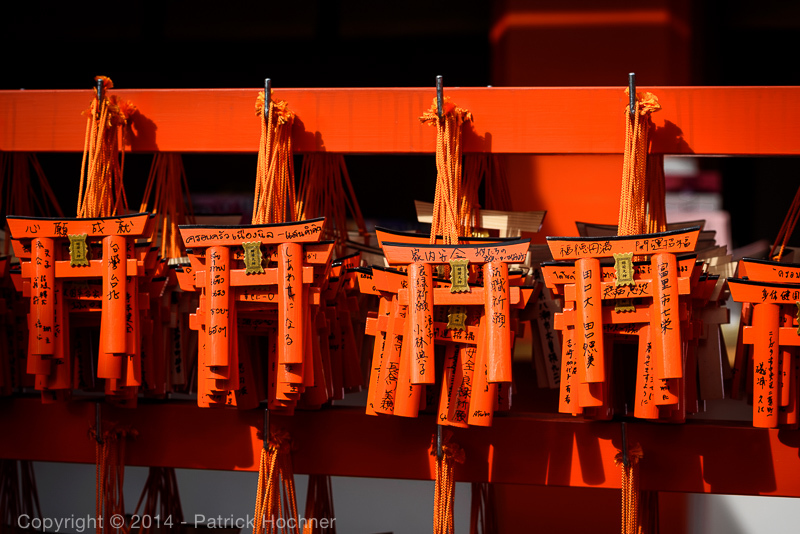 The Hitakisai held at Fushimi Inari shrine is one of many autumn festivals held in Japan. 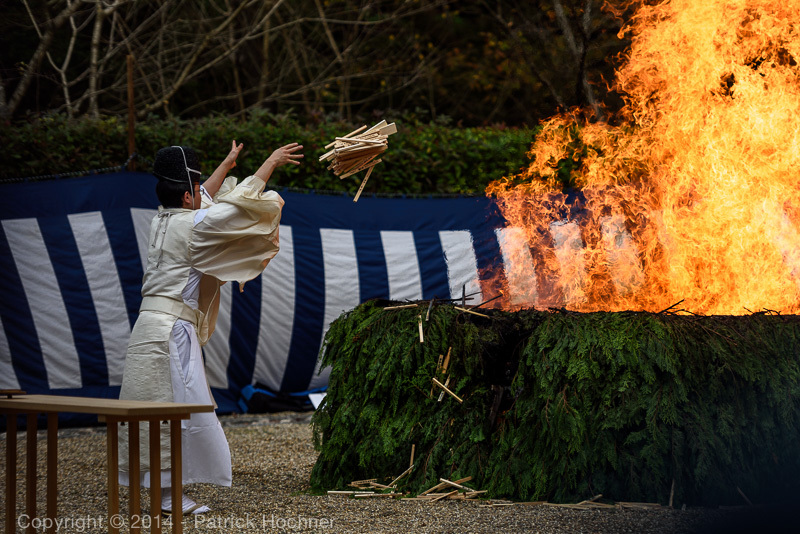 The fire ritual worships ‘Inari Okami’, an old traditional white fox, the god of prosperity and abundance. 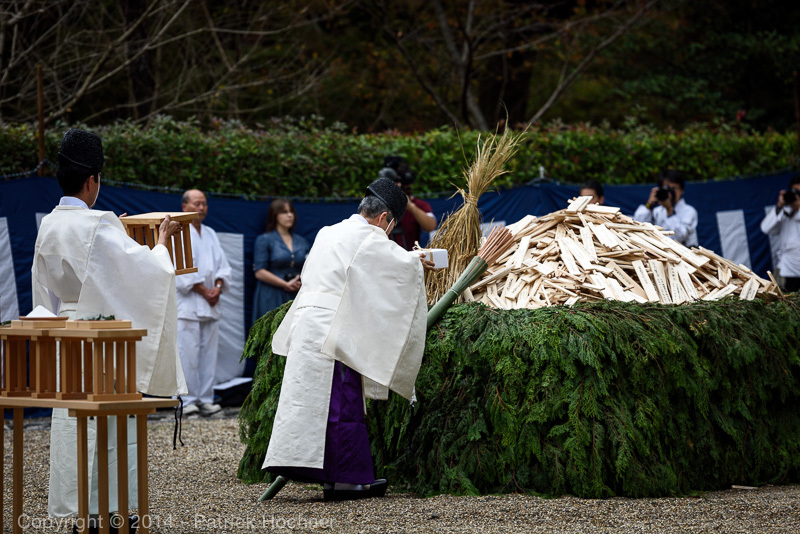 By burning straws from harvested rice plants, the ceremony gives thanks for the year’s harvest. 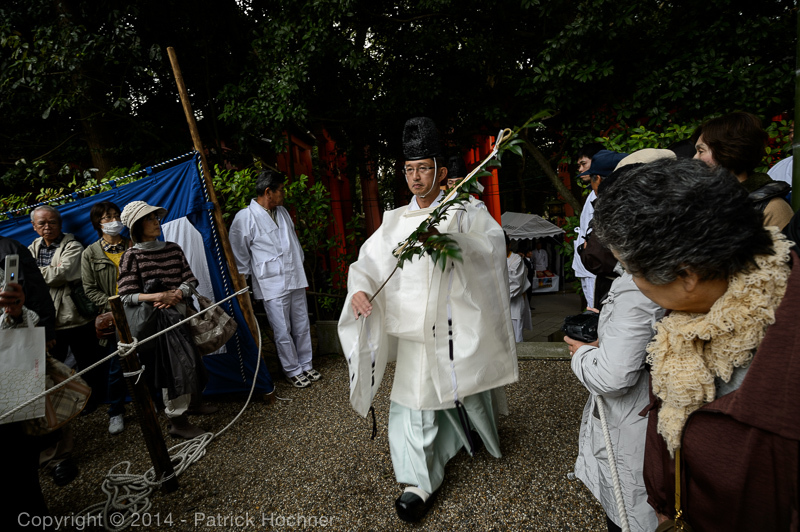 The ceremony is conducted at Inari Shrines all over Japan. 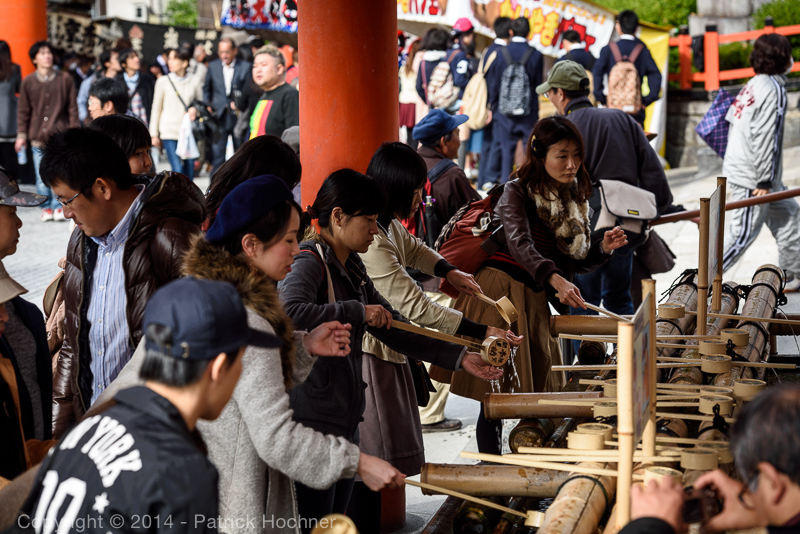 However, the most famous Inari Hitakisai is held at Fushimi Inari Shrine. 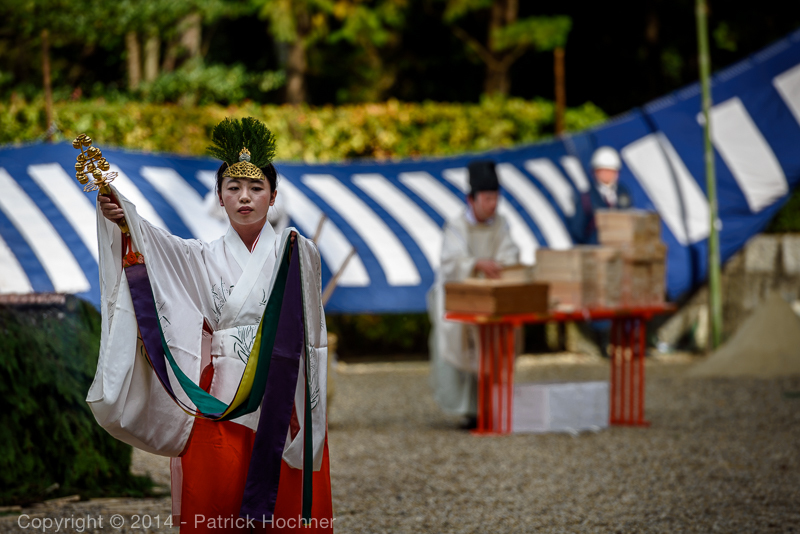 As usual in Japan, the ceremony started on time. The line stretched quite far as more and more people wanted to attend. We were lucky to get a good spot from where we could have a direct line of sight to part of the action, and therefore we’ll be able to get pictures. The priests arrived, walking quickly to their position for the ceremony. 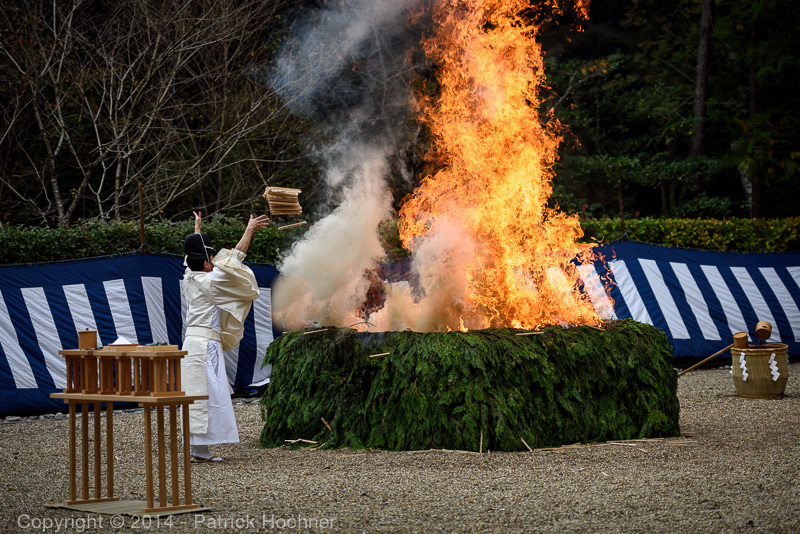 Three spots had been prepared with logs covered with green pine branches. Straws and prayer sticks were piled in the middle. 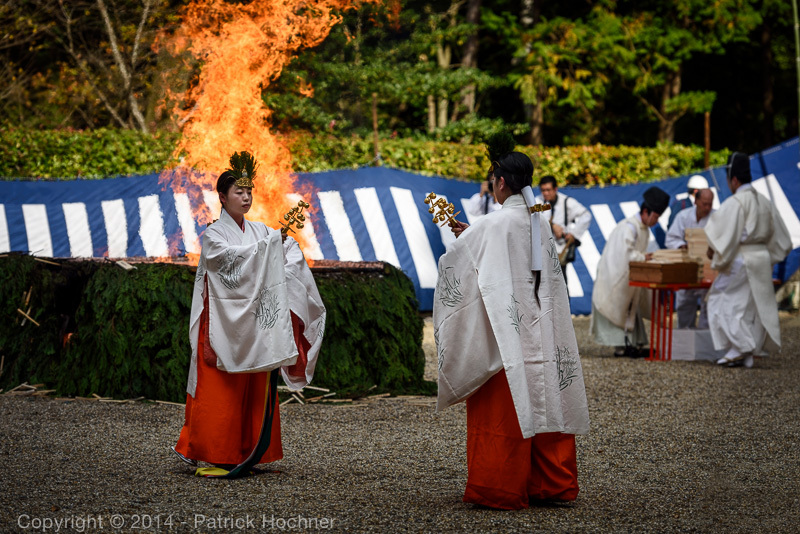 Priests used three torches to light the three fires at once and they started burning with impressive intensity, filling the whole place with heavy smoke. 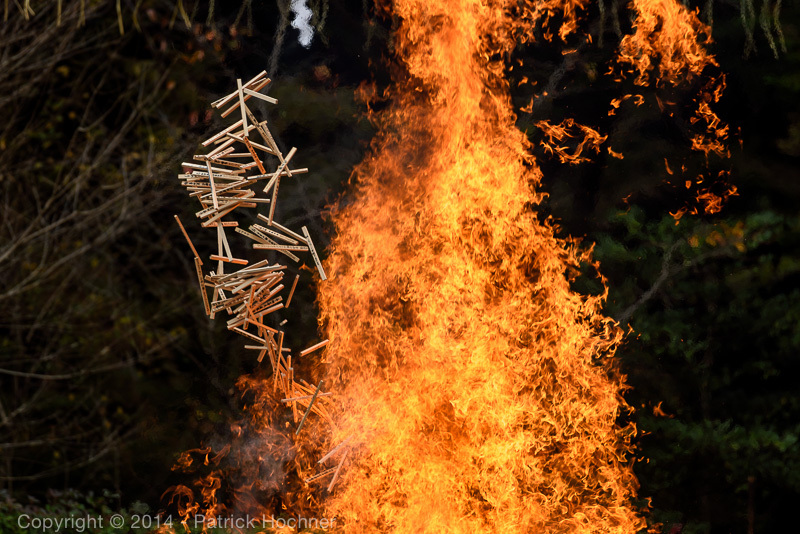 The priests kept on throwing more and more prayer sticks into the fire. 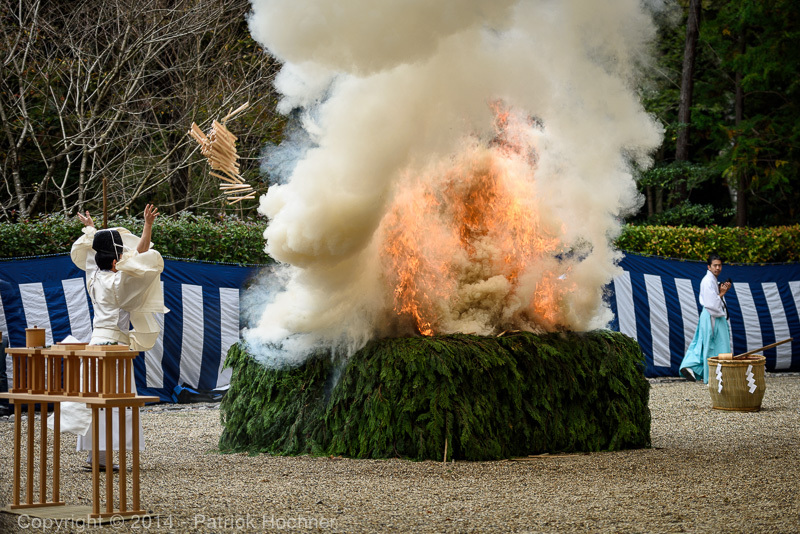 These have been collected throughout the year – they were getting blessed and thrown in the fire. 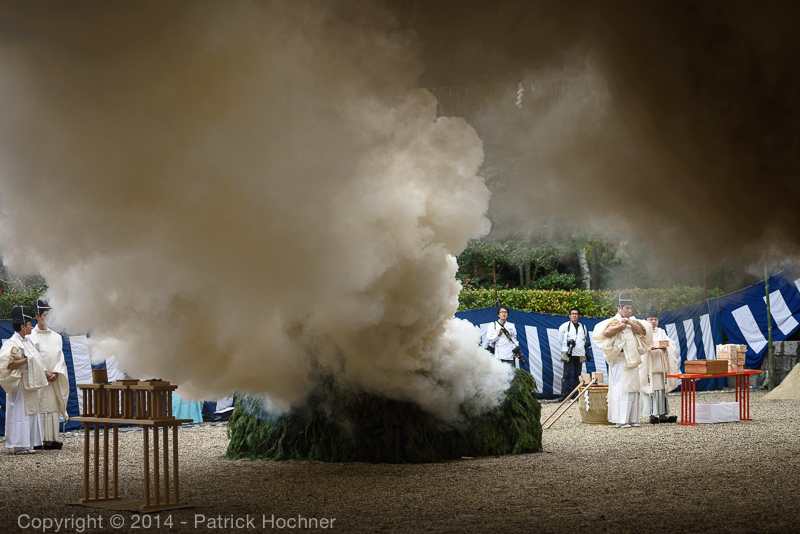 A senior priest comes to each fire and casts leaves and salt. 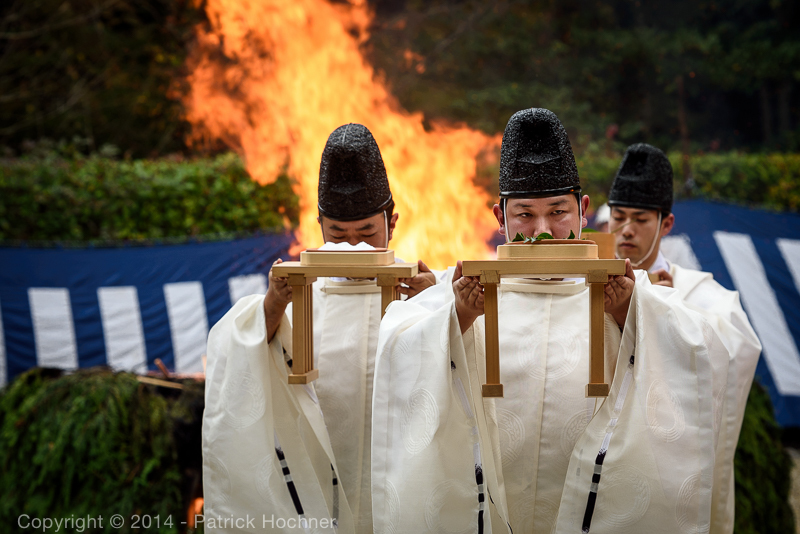 People around sang prayers alongside the various officiants. 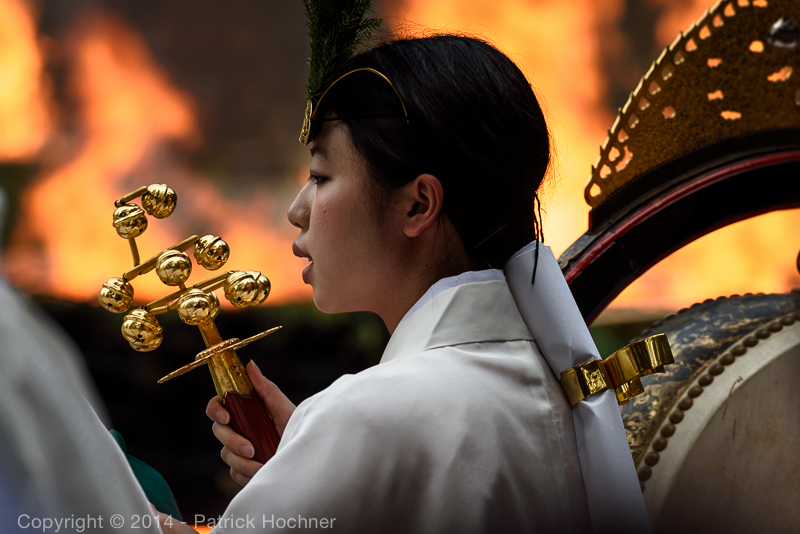 Two shrine maidens perform a slow ceremonial dance with bells while other maidens play some music and the people sing prayers. It was quite intense, mainly with the fires continuing to rage. 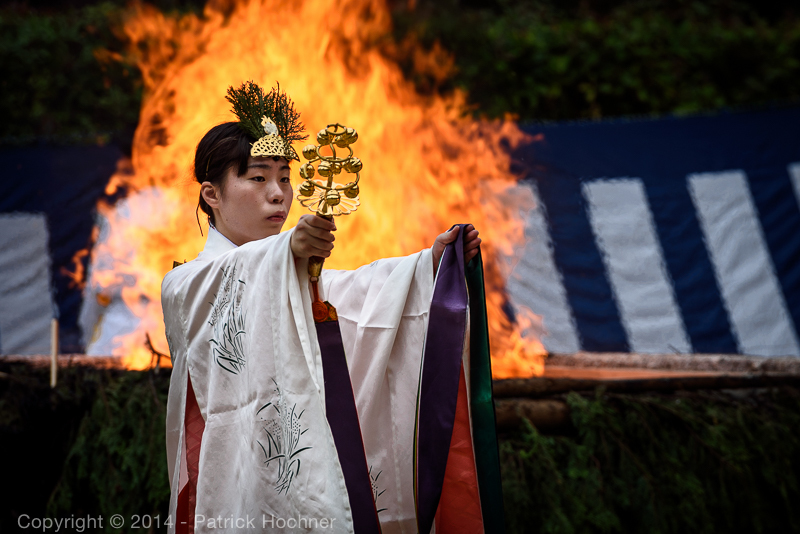 The priests continue to throw prayer sticks into the fires. As the ceremony seemed to repeat itself, we decided to leave. It has been a new and interesting experience.